NEW LISTING - BALINESE Style Studio Retreat! Property 3: NEW LISTING - BALINESE Style Studio Retreat! Cosy Corner Cottage and Studio (priced separately) Beautifully presented. Property 14: Cosy Corner Cottage and Studio (priced separately) Beautifully presented. 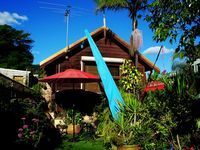 Beautiful cottage with Studio in South Fremantle. Property 18: Beautiful cottage with Studio in South Fremantle. Coral Street Cottage - Ambiance, Seclusion, Location and Style: A heritage gem! Property 21: Coral Street Cottage - Ambiance, Seclusion, Location and Style: A heritage gem! I absolutely loved staying here! Carmen who owns property was so friendly, she was informative and very happy to help with local information and activities. 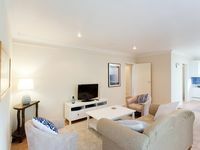 The property was clean and very well stocked and there are food shops, chemist and doctors 5 minutes up the road. It was very quiet and relaxing with a comfortable bed I wish I had stayed there longer, I actually didn't want to leave. The garden was beautiful and tranquil with a seating area. I loved staying there and meeting Carmen (I also enjoyed cuddles with the dog). I am planning a return trip next year!